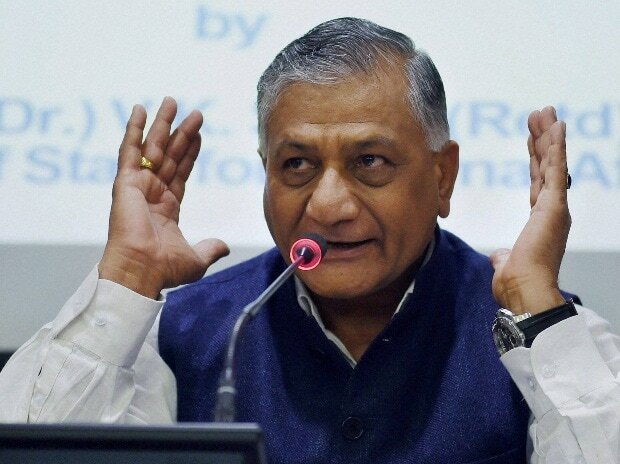 Union Minister of State for External Affairs General V K Singh on Monday said Pakistan had been “isolated” internationally after the Pulwama terror attack. Speaking to mediapersons here, the minister said after the attack Prime Minister Narendra Modi had called for complete isolation of Pakistan which has been made possible with the country’s diplomatic policy. “More than 40 countries have issued strong statements against Pakistan. This is a big success for us as the number of countries supporting India’s stand is higher than the number of countries which had supported India after 26/11 attack in Mumbai,” he said. Singh said India will choose time and place for retaliation to the terror attack as it will be properly planned. “What is being planned, I do not know. Any war, war-like or punitive action must be planned for success. It should be a cold act and nothing is to be done in a hurry. Let us wait and watch and support our forces,” he said. Even Osama (Bin Laden) was not killed in a day, despite the USA knowing the Al-Qaeda terrorist was hidden in Pakistan, he said. When asked to comment on the angle of intelligence failure and connivance of some insiders behind the Pulwama attack, the minister said the entire matter was being analysed and then a comment could be made.